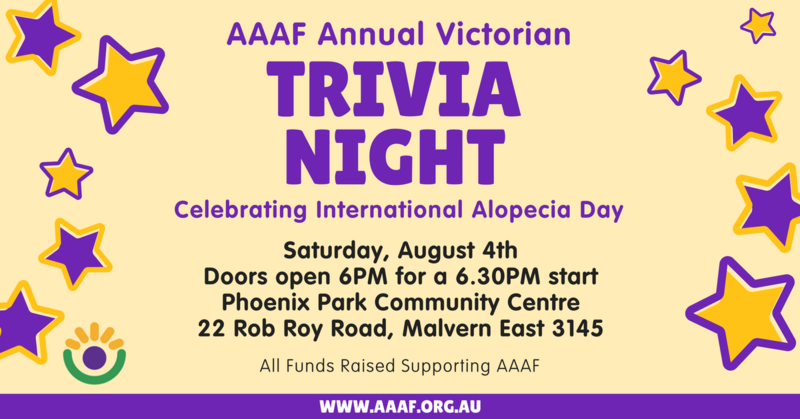 Our Trivia Nights are always one of the highlights of our calendar. Join us on the 4th of August for our sixth year running this amazing event! As always, there will be excellent trivia coordinated by our very own dynamic duo – Shea and Andy! Fantastic prizes are up for grabs – and not just for the winners either. We have a silent auction of amazing items and experiences available for bidding. Plus every dollar we raise at this event goes to help AAAF keep doing what we do. Updates coming closer to date. Be sure to register with AAAF to stay up to date with all the latest on events near you.